Last time I updated you on my work in progress, there were five projects underway. Now there are four. 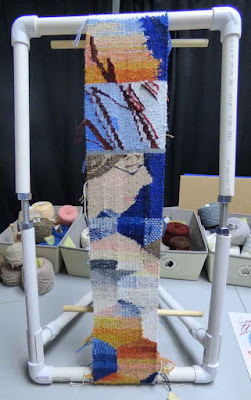 The tapestry diary continues, of course, with a little bit of weaving done each day, except for days I am travelling. 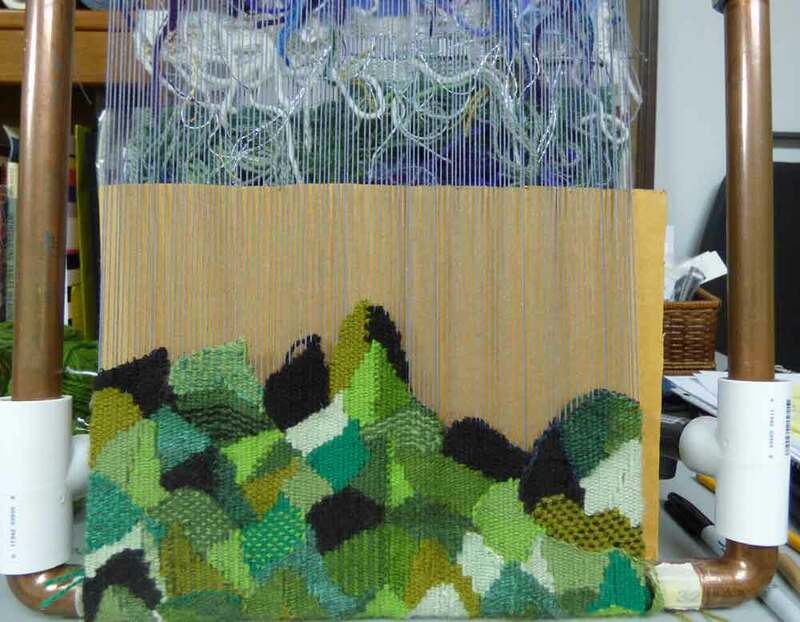 We are in the midst of the six-month-long "green season" of Ordinary Time, and I am weaving a different leaf each day. On the Sunday we learned of the horrible mass shooting in Orlando, it seemed right to weave a dark brown leaf rather than a green one. Since then, mass murders and terror attacks in various locations at home and abroad have followed at a sickening pace. The brown leaves have multiplied. Yesterday's recognizes those 19 disabled residents killed in a knife attack near Tokyo. As I was weaving today's gold-green leaf, top center, I heard of a new attack and so the right half of the leaf is brown. At this rate I wonder if at some point the green leaves will become the exception and the rest of the diary will be mostly dark. 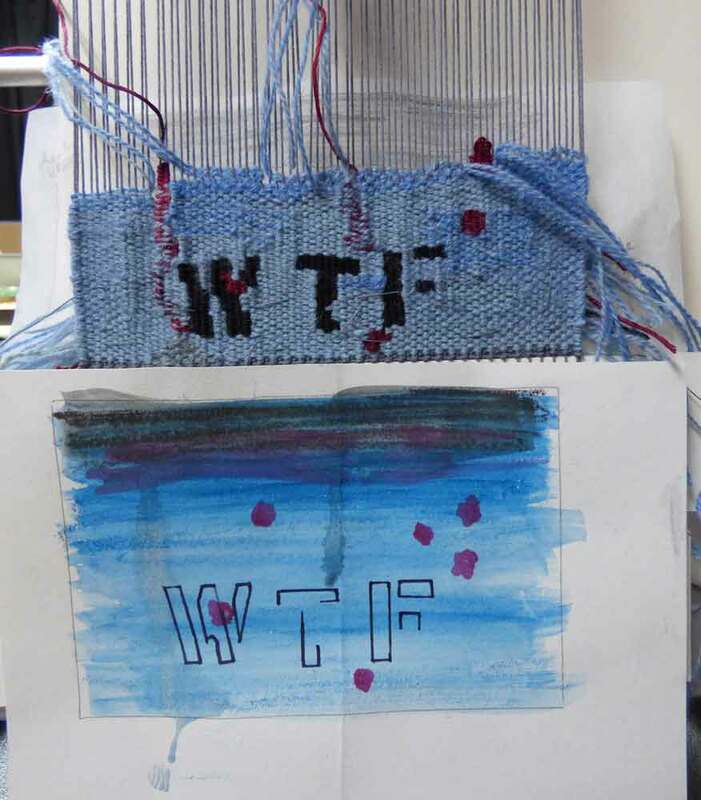 I have ripped out and rewoven part of the small WTF tapestry. This is another piece originally inspired by my grief over the murders in Orlando. Below the weaving you can see the original watercolor. On a brighter note, I am finally done with dithering, tweaking, sampling and just plain procrastinating on my next big Mary tapestry. Yesterday I wound the warp for it and today I am going to begin to warp the loom. Finally! I'm very excited to start weaving. Here's the sample weaving I've done for colors, values and shapes. I'm leaving this sample on the loom in case I need to do more as I weave, but I think I know now what I need to know to begin. And I treated myself to these cute fabric bins to organize the yarn for this project. 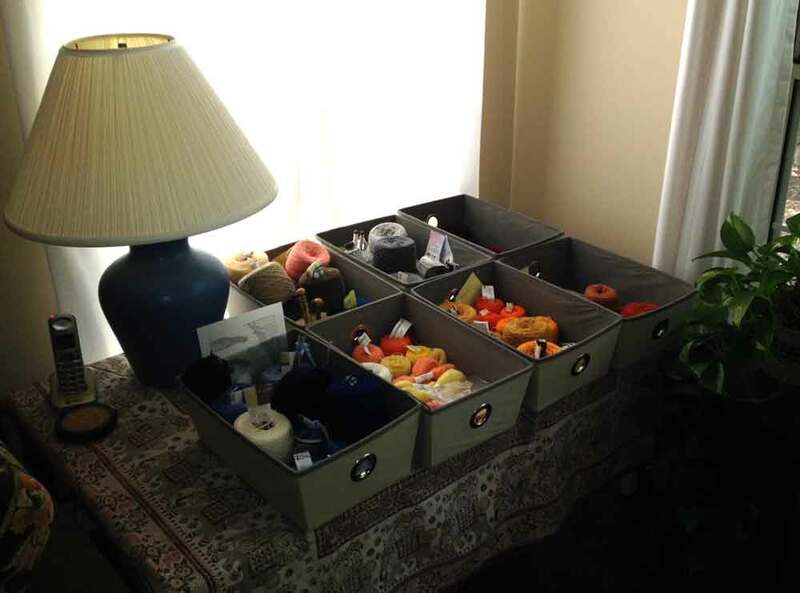 Since I work in our family room I thought something nicer than shoeboxes was called for. Now that class preparation for Convergence is wrapped up (yay! 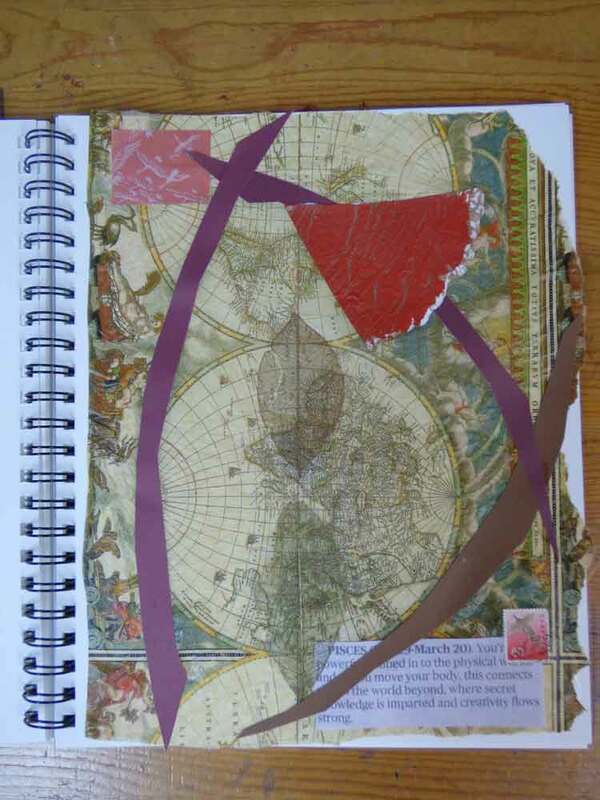 ), this morning I returned to my daily collage practice. The assignment (from Randel Plowman's book The Collage Workbook) was to be inspired by your horoscope. I'm not a huge believer in horoscopes but this one, about being in tune with the physical world and creatively inspired by it, seemed OK. I hope that wherever you are, you're finding time for your own creative explorations! Convergence, the biennial conference of the Handweavers Guild of America, is just around the corner and I am in full-on class preparation mode. I'll be teaching two one-day workshops: Fabric Painting 3 Ways and Art Journaling to Kickstart Creativity. 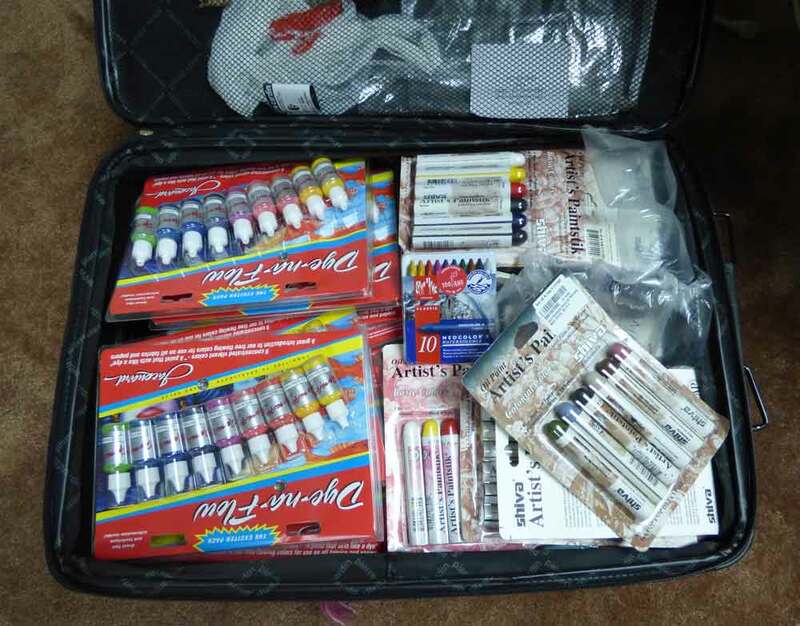 These are both classes I've taught before, but for the past few weeks I've been re-doing the exercises and activities, tweaking the lesson plans and handouts, and ordering supplies, lots of supplies. While the Fabric Painting class is full, there's still room in Art Journaling and you can still register for it. We'll be exploring how to use a sketchbook--as a mood board, a diary, a lab, a playground, a tool for capturing and exploring ideas and emotions. We'll also practice using some basic elements of art such as line, shape and color to convey those ideas and emotions. 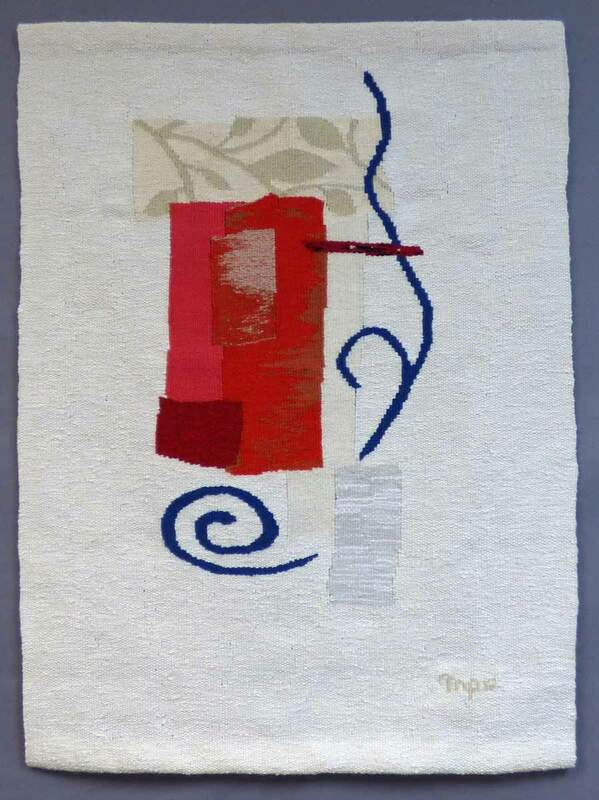 Today I shipped off my tapestry Red Letter Day to hang in the Leaders' exhibit, called Gathering by Waters. I am humbled to have work hanging in what will be very accomplished company. This is not my first Convergence, but it is my first one as a class leader and I can't wait. 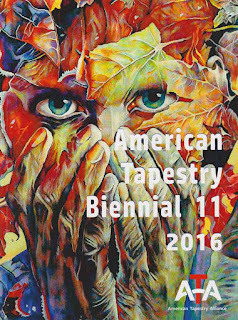 The hardest thing will be fitting in everything I want to do into the few days we'll be there--see the exhibits and the fashion show, meet with my fellow tapestry weavers at ATA's events, shopping at the Vendors Hall (did I mention that? ), and visiting the fantastic Milwaukee Art Museum. I know it will be an all-you-can-eat buffet of all things artistic and textilic. Yum. Where I live it's really hot and humid--perfect weather for staying inside, making art and reading! I want to share with you some books I've enjoyed since the start of the year. I've dived deep into reading about tapestry. For pure eye candy, you can't beat exhibition catalogs. 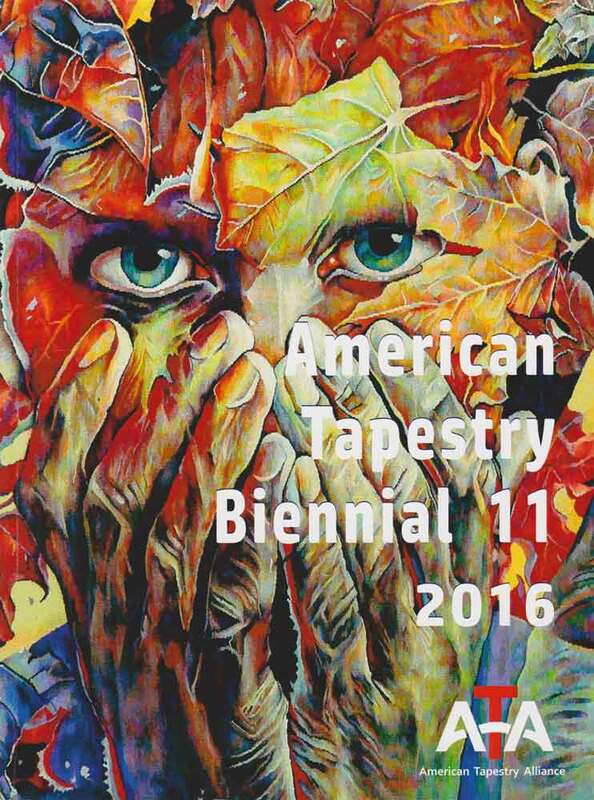 This is the catalog of the American Tapestry Alliance Biennial 11 2016, a juried show that just opened in South Bend, Indiana. (The show will travel through April 2017 to Topeka, Kansas and San Jose, California). 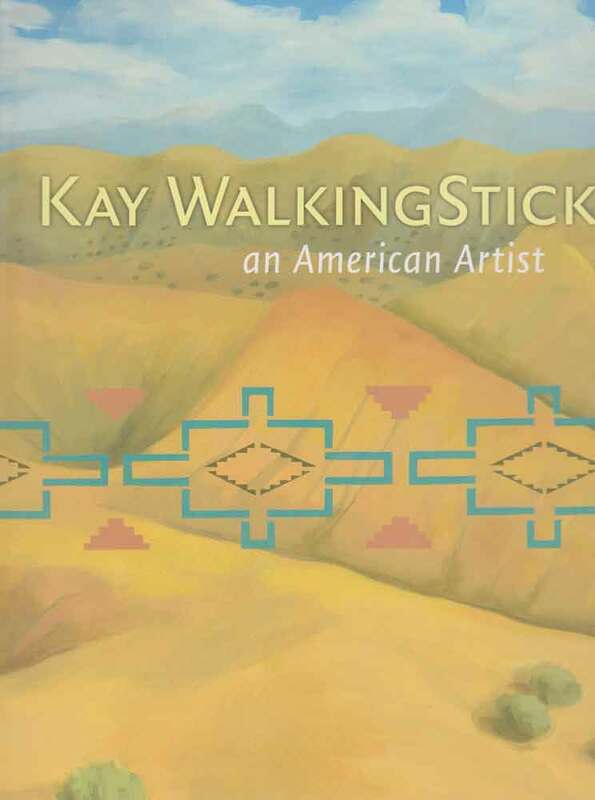 The catalog is beautifully produced with full-color images of each of the 36 pieces selected by juror Janet Koplos. It is always good to see what one's fellow practitioners are doing, and for me it was inspiring to see intriguing imagery married to impeccable and, in some cases innovative, technique. I also enjoyed reading each artist's statement. You can learn more about the show HERE and order the catalog HERE. 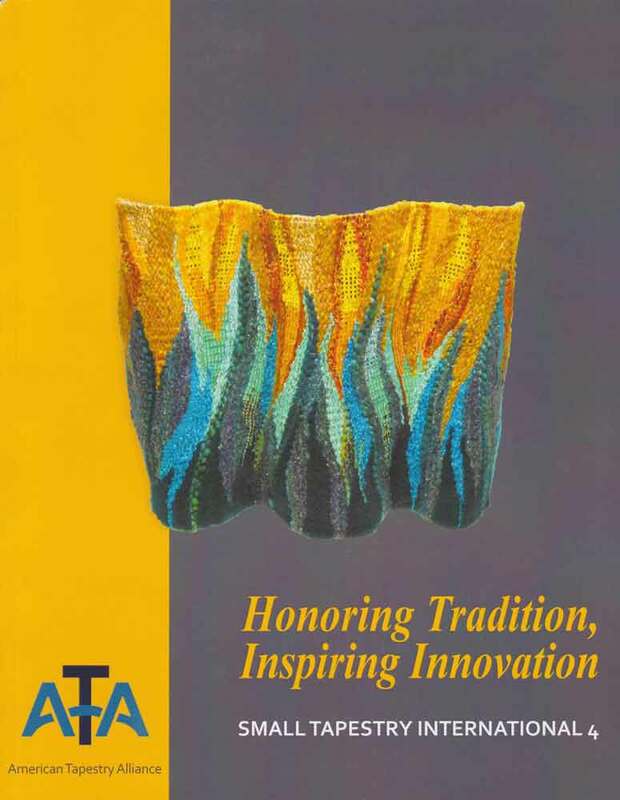 Honoring Tradition, Inspiring Innovation: the catalog of ATA's Small Tapestry International 4, a juried show dedicated to small format work (no more than 20" in any dimension). The show, which also appeared in three venues in 2015 and 2016, has closed. Again, each piece is portrayed in full color and each artist's statement is included. I was excited by the ways in which many artists working small-scale have big ideas about pushing both the content and the technique of tapestry. Learn more HERE and order the catalog HERE. 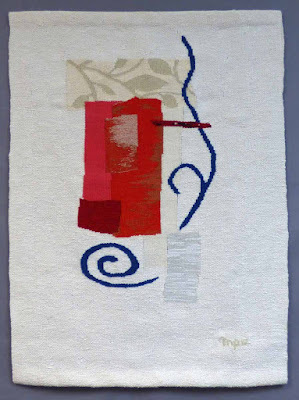 I've also enjoyed reading about the lives and work of three contemporary tapestry weavers. Nezhnie: Weaver and Innovative Artist by Linda Rees. 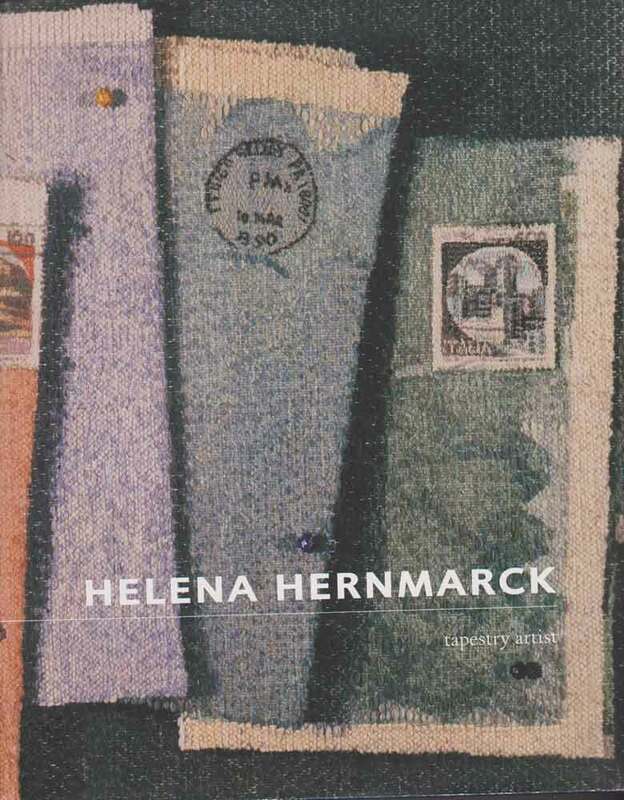 This account of the life and work of tapestry artist Muriel Nezhnie Helfman (1934-2002) was fascinating to me. 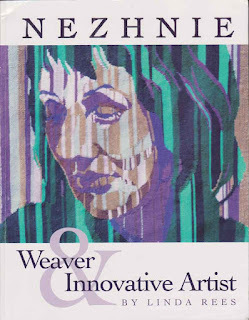 Nezhnie managed to balance a career producing both commissioned tapestries, woven by herself and several assistant weavers, with doing her own pieces--and raising a family at the same time. I especially enjoyed seeing how she handled portraits. Nezhnie is best known for a series of tapestries she did about the Holocaust. I found it absorbing to read about her technical explorations. I found the book HERE. Christine Laffer: Tapestry and Transformation by Carole Greene. 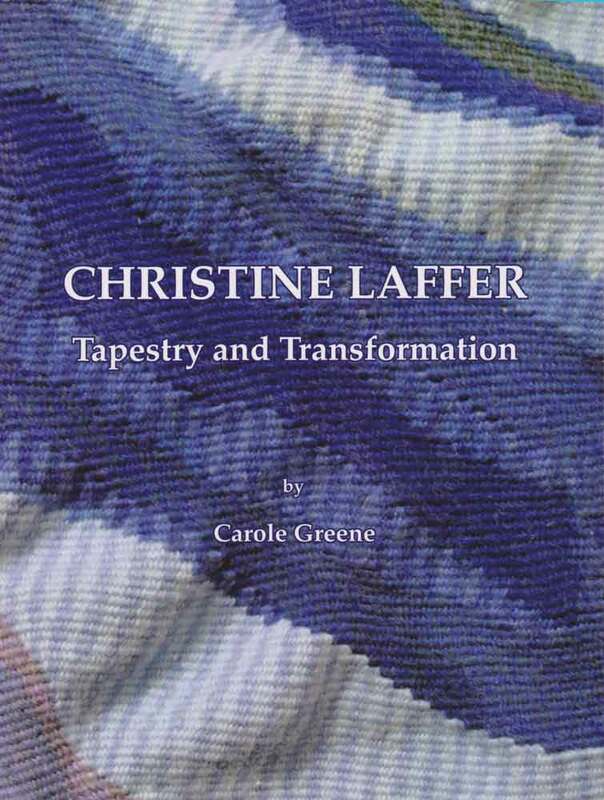 Christine Laffer recounts her life and work in her own words. She outlines her struggle to learn to weave tapestry as part of her fine arts studies in the U.S. and at an internship at the Gobelins workshop in France. She describes the development of her work, which has included both large commissioned pieces and personal pieces. 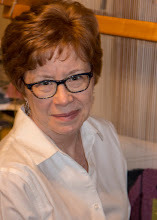 Laffer has worked both in traditional modes and incorporated tapestry techniques into mixed media and 3-D work. Her thoughtful reflections about the art and social issues that have inspired her and her engagement with questions about the place of tapestry in art history and in contemporary art, are well worth reading. I found the book HERE. 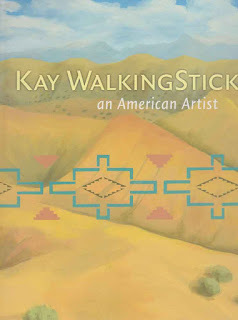 I saw a show this spring at the Smithonian's National Museum of the American Indian about the work of Kay Walkingstick. Since then I've also really enjoyed the catalog of that show. 3-D and in book formats as well. (If you're in DC this summer I highly recommend the show-- the Museum itself is a must-see anyway, in my opinion.) If you can't get to DC, the catalog is a real treat and can be found HERE. Books like these are essential nourishment for this artist's soul. Hope this review whets your appetite for some luscious art reading. And let us know what you're reading these days! 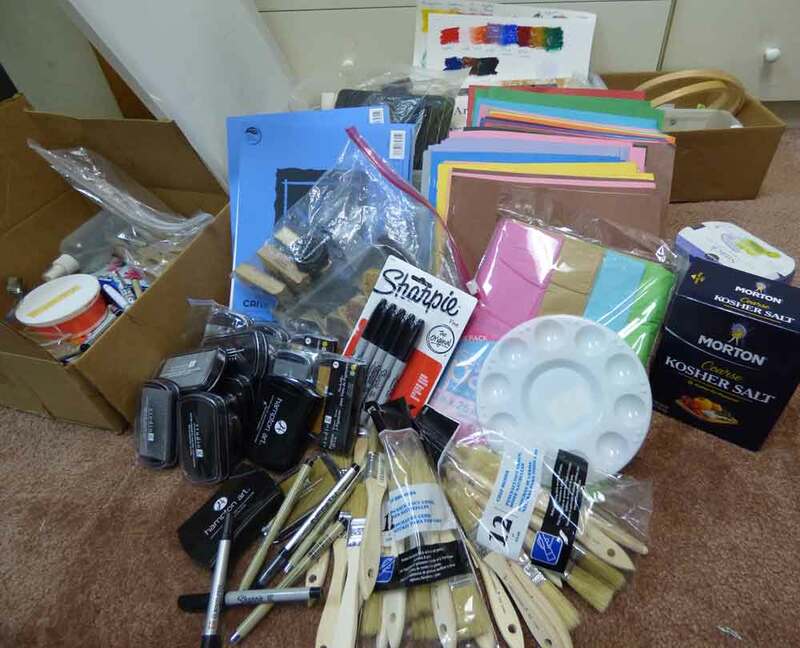 Art marketing guru Alyson Stanfield recently wrote a post entitled "Nestle into Your Artist Community." She did great job listing five benefits of finding (or starting) your own artistic tribe to "nestle" into (love that choice of verb): Connection, Engagement, Education, Empathy and Encouragement. She quite rightly pointed out that while most of us work in solitude to make our work, we do need to emerge from our art caves and connect with others. Our work, our selves, and our world are better, healthier, stronger when artists are engaged with the larger community. And as is so often the case, we may join a community initially to get benefits for ourselves, but when we step up to donate our time and treasure we get so much more. 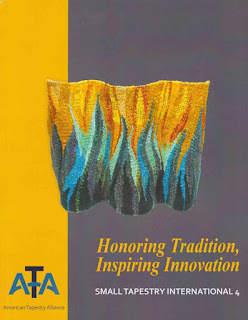 Alyson's post reminded me of how Southeast Fiber Arts Alliance (SEFAA) in Atlanta has come to be that community for me. There I have found common cause with a wide range of artists who work with fiber. I've found a place for companionship at Lunchtime Fiber (every Tuesday and Thursday from 10-2, except for this holiday week. I'm hosting the July 14 gathering at SEFAA). I've found a sales outlet for the work I make at the annual Artist's Sale (Nov. 5-6 this year), and opportunities for exhibit in the Square Foot Fiber Art Pin-Up show. I love shopping for gently used tools and supplies at the annual Fiber Flea Market (August 14). Tables for sellers are already sold out, but buyers can come and shop for free. 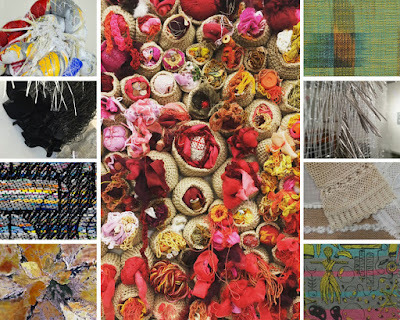 And I can count on SEFAA to offer up the latest fiber art in exhibitions, including the recent Spotlight on Student Trends, and 2015's great biennial juried show, Intertwined. Among the most important things SEFAA does is Education. There's a really outstanding lineup of workshops coming up in the next few months. Click HERE and then on the drop down menus under the red tab Classes/Workshops/Tours for each month's offerings. There's truly something for everyone, no matter what their medium or interest. In October, Jim Arendt, the Best in Show winner at Intertwined, is offering a workshop on working with old denim that looks really exciting. And ahem, I myself am halfway through teaching the series on Design I've been offering at SEFAA this summer. This Sunday, July 10, we will consider Composition--the arrangement of shapes, lines, colors, and so on that form the visual world of a piece of art. We'll consider balance, focal point (or lack of), classic compositional formats, and how to use (and not use) a photograph as a source of inspiration. On July 17 we'll wrap up the series with a look at the Design Process: From Inspiration to Road Map. We'll delve more deeply into what to expect when you take that flash of inspiration and mold it into a finished work of art. (Spoiler alert: As Edison said, it's only 1% inspiration. But it can still be really fun!) There's still space in both classes, so come join us! Martha Myers, one of the students in the recent Pattern & Rhythm Design module, posted a very nice account of her experience in the class. It's so gratifying when students find the classes worthwhile. For me, teaching in a fiber community like SEFAA nourishes and refreshes my artistic spirit.